Concrete Pools Adelaide – Synergy Pool and Spa are SA’s Best! Owner of Synergy, Dean Peterson, has been working with home owners and builders for over a decade to design and install quality concrete pools Adelaide. His extensive experience and standard of workmanship sees him consistently build fantastic rapport with suppliers. As a result, Dean is able to pass these benefits onto his clients. As a family owned & operated business, the Synergy team pride themselves on bringing their customer’s dreams to life by providing a level of end-to-end service that they simply can’t find anywhere else. Not only do our concrete pools Adelaide have the ability to add significant financial value to your home. They can also greatly improve your lifestyle. Like all people, pools are different. So, we customise our construction and maintenance services to your family’s needs, budget and environment; all while ensuring we achieve the absolute best solution for your individual space. Synergy’s concrete pools Adelaide are custom built based on your yard area, desired depth and budget. Through utilising our relationships with high-quality local suppliers, we are able to take the best in eco-technology and put it into a package that is tailored to your requirements. Our concrete pools Adelaide provide flexibility in design matched with the highest available durability. Concrete’s versatility as a material provides an opportunity to create a truly bespoke and unique feature piece for your home. Our end to end service process for concrete pools Adelaide can take anywhere between 12 and 14 weeks. This exact time is largely dependent on how long it takes to gain council approval. While we wait, you are able to make selections before we send the design off for engineering to streamline the process best as possible! We can guarantee to design and construct the best solution for your needs. All of our concrete pools Adelaide clients can contact us at anytime beyond project completion to clarify any maintenance queries. Aside from design and construction of concrete pools Adelaide, Synergy offers renovation and repair services for all pools and spas. Is your pool in a reasonable condition but just requires some professional TLC? Our renovations can help breathe new life into it! If your pool is cracked, rusted or leaking, our skilled technicians are trained in troubleshooting mechanical and material insufficiencies. This means they can quickly isolate the issue and apply the necessary treatment. We also conduct proactive pool assessments to identify and treat any minor issues before they become long-term costly fixes. No job is too big or small for Synergy, and our dedication to customer satisfaction means we will not stop until you are 100% happy with our project. For the best fibreglass and concrete pools Adelaide, look no further than the team at Synergy Pool and Spa. 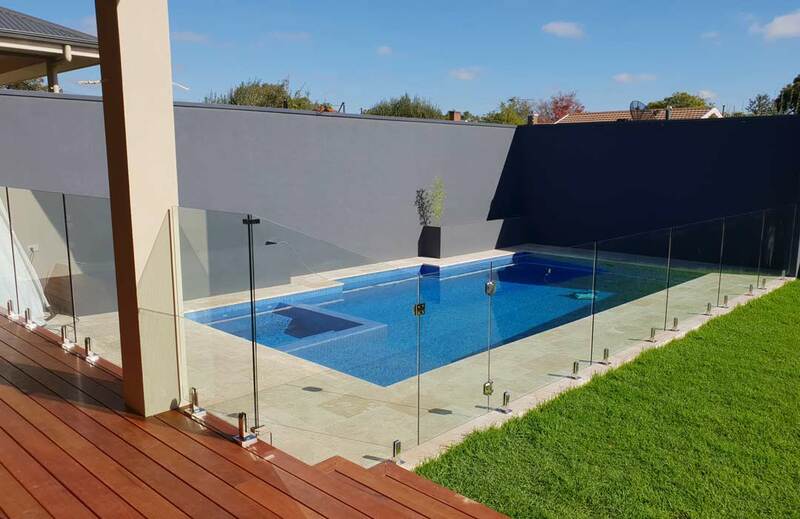 We are committed to providing the highest quality, customised pool solutions in Adelaide.